The Diciotti, which picked up the migrants. Italian Transport Minister Danilo Toninelli called for EU sanctions against Malta on Sunday for failing to pick up migrants which were on a boat which transited the Malta rescue zone. But Prime Minister Joseph Muscat, who referred to the case before Mr Toninelli made his comments, insisted that Malta was on the right side of international law. He explained on One Radio that the boat, carrying 171 people, transited international waters which Malta is responsible for with regard to rescues. A Maltese patrol boat monitored it. The migrants’ boat was not in distress and the migrants refused help. "Since they were in international waters, they had a right of passage and we could not tell them where to go and what to do." The boat headed towards Lampedusa. 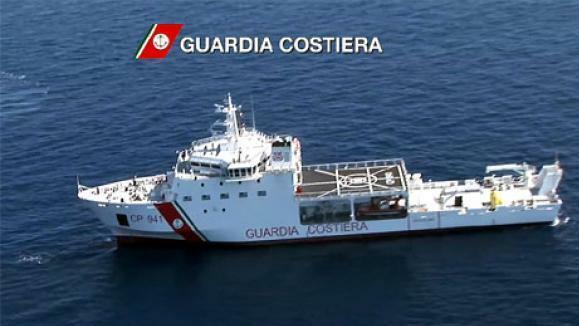 An Italian vessel, the Diciotti, then decided to pick up the migrants. 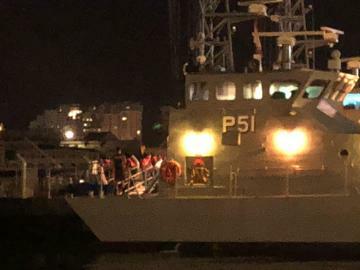 Seventy-one migrants were rescued from a sinking dinghy on Saturday evening and brought to Malta. "This was an interception, not a rescue. The migrants are now on board a military vessel, which practically means on Italian soil. I expect Italy would ask other EU states to help, it is up to them, but Malta followed international law," Dr Muscat said. "Even if this case is to be regarded as a rescue, the boat was much much closer to Lampedusa than Malta," he added." The migrants were picked up four days ago and the Diciotti is still off Lampedusa awaiting instructions. Italian Interior Minister Matteo Salvini on Thursday insisted Malta should take the migrants. Italy is also asking other EU countries to help, while Sig Salvini said they should be taken back to Libya.